Tamaya is a fifth grader and Marshall is a seventh grader. They both attend Woodridge Academy, and also walk to and from school together because Tamaya's mother doesn't want her to walk to school on her own. They don't talk during school hours so no one knows they're friends. The afternoon Marshall drags her into the woods because he claims he knows a shortcut, something awful happens. The real reason Marshall wants to avoid their usual route home is because Chad the bully wants to beat him up. Cutting through the woods doesn't keep Chad away. He actually ambushes them. But Tamaya gets them both out of the ordeal by rubbing some gross-looking mud in Chad's face. The two friends escape the bully, but Tamaya develops a really bad rash on her hand. 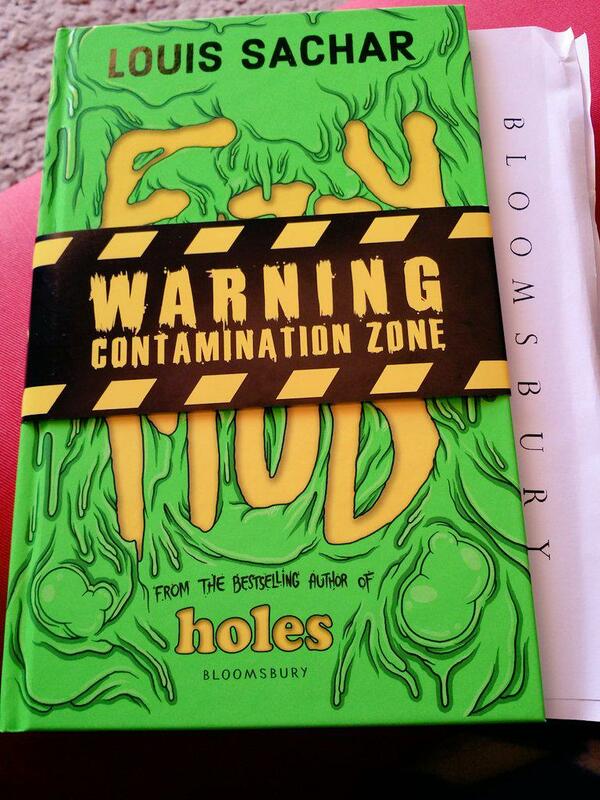 I already mentioned how nice this book looks on the outside, but the inside is just as cool. At the start of every chapter, the tiny culprits responsible for a super dangerous outbreak keep spreading along the page. It really is a cool effect and foreshadows how serious things are getting. 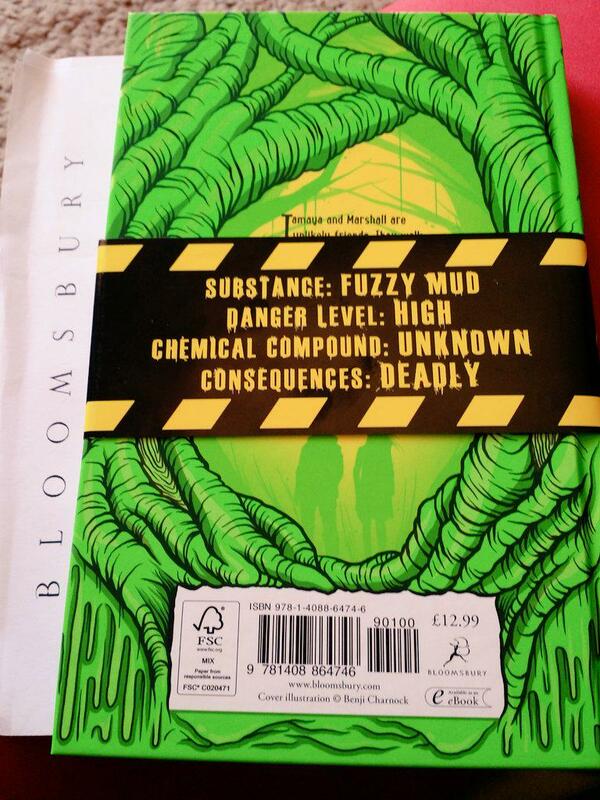 There are also official documents outlining several enquiries into microorganisms. 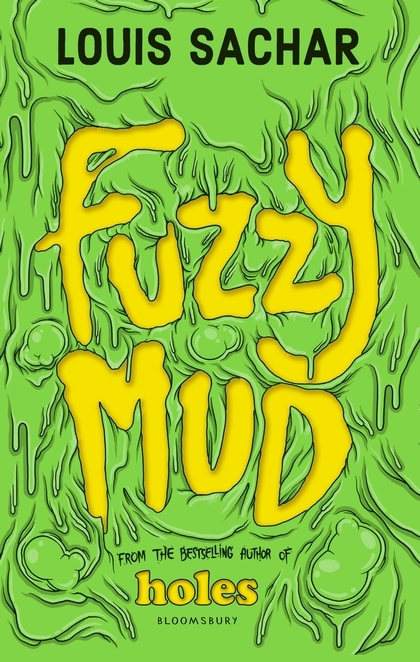 Fuzzy Mud turned out to be such a fun and fast read that also tackles serious issues like bullying and the world's growing population problem. The two main characters are very likeable and are just two average kids trying to get on with their lives when they stumble on something out of the ordinary. I read it in one day and couldn't wait to see how things turned out. I have to admit I was really surprised at just how serious things got. It's a clever story that shows just how easily science experiments can get out of hand, no matter what the intentions of the scientist. I loved the writing style and how on one hand this book can be referred to as light-hearted, while at the same time presenting a very scary (dark) situation.